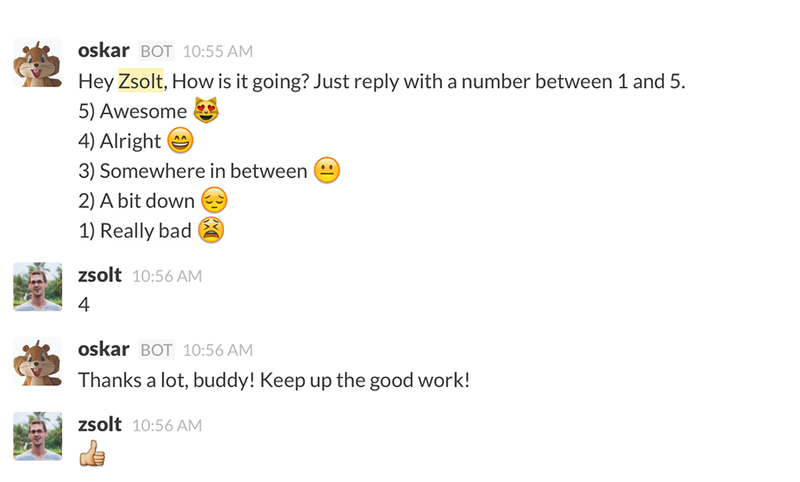 Slack bot that tracks how happy people are at work and helps remote teams to prevent isolation. Slack bot for "people who need Siberian Huskies, now". A Jeopardy! bot for Slack. 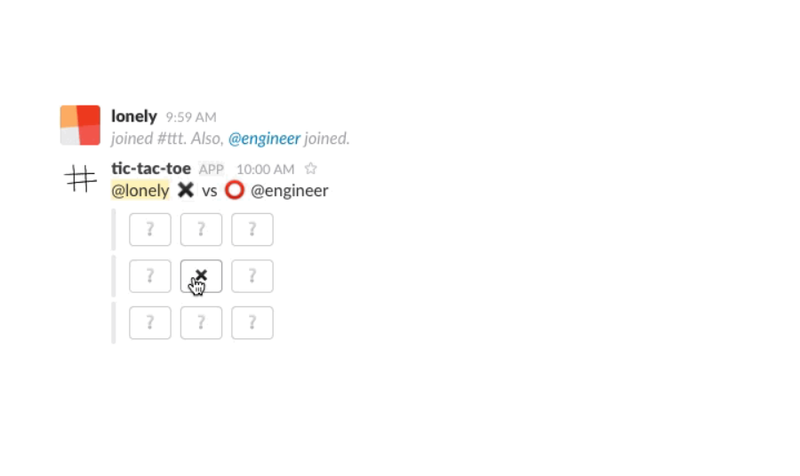 Play tic-tac-toe in Slack in channels and DMs. Integrates Tesla Model S REST API to Slack. 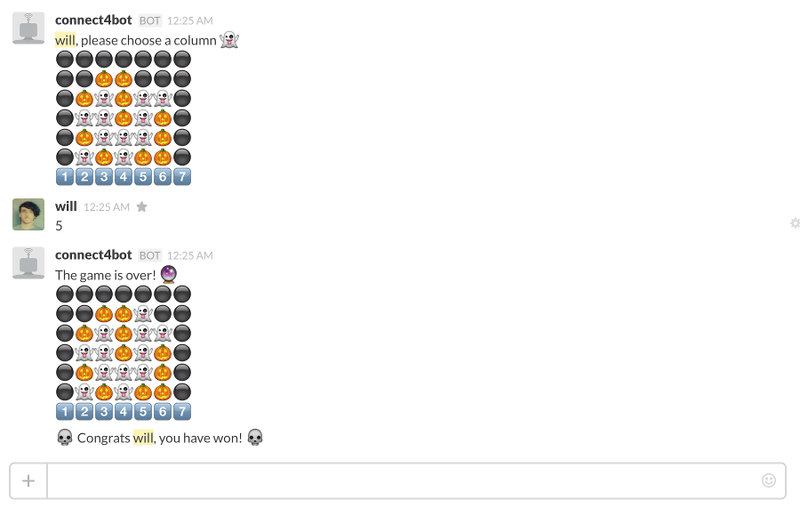 A slack bot that moderates Werewolf games. 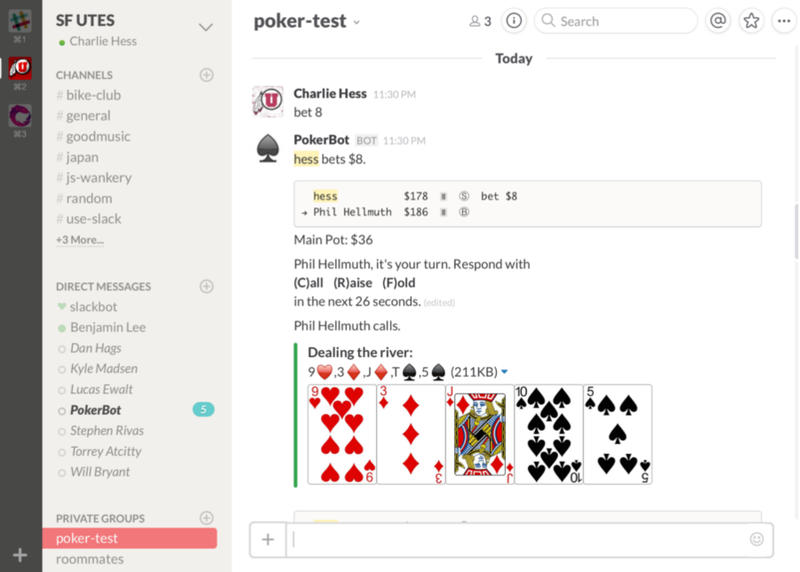 A bot that turns Slack into a legitimate Texas Hold'em client. 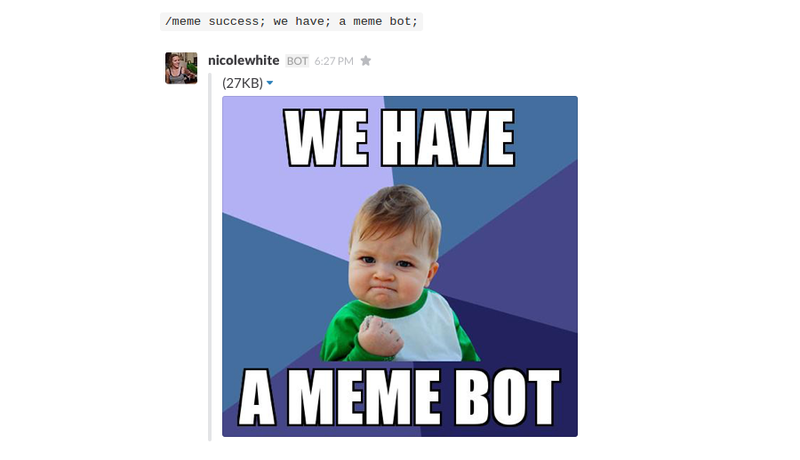 A meme bot for Slack. 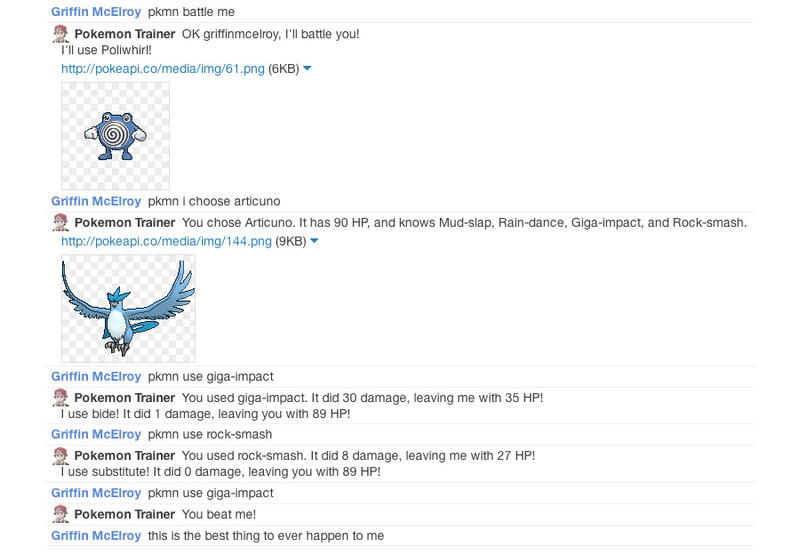 A game bot for Slack, ping-pong, chess, and more. 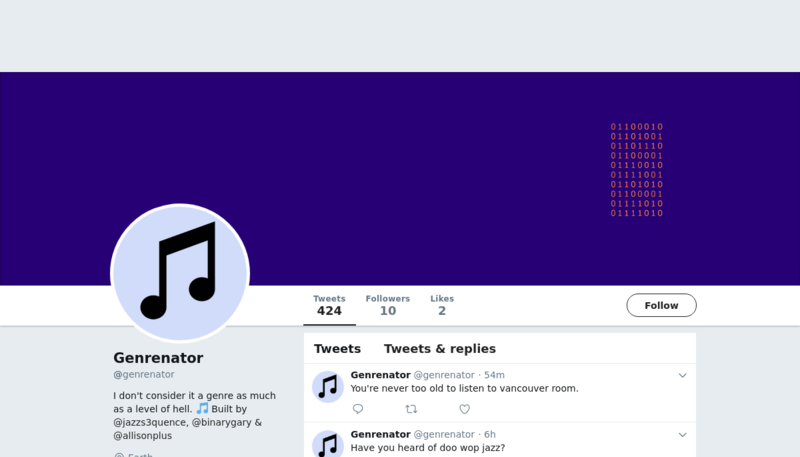 A bot that allows you to play Connect 4 on Slack. A Slack bot that tracks how many times the word "should" is used in your software development team's Slack channel. All your ++ and --.